Police Scotland’s outgoing chief constable has criticised Scottish Borders Licensing Board for breaching its own policies when granting extensions to permitted drinking hours. In his annual report to tomorrow’s board meeting, Sir Stephen House notes: “In recent months, Police Scotland has submitted objections to the board in relation to a variety of applications, often citing the board’s policy as a reason for the representation. “Unfortunately, the board has decided to grant a number of these licences which are clearly in breach of its policy. Sir Stephen’s rebuke will doubtless resonate with the 10-member board tomorrow when it convenes at Newtown and considers a bid from a Hawick licensee for a 3am extension on Friday and Saturday, October 30 and 31. Neil Gillies of Base Nightclub in Baker Street says he needs the extra hour to cater for a Halloween party, with live music, DJs and special events. In his application, he explains that outwith the town’s common riding, and Christmas and New Year, Halloween has grown into his busiest entertainment weekend. Mr Gillies will be looking for consistency among the councillors who granted him a 3am extension during the common riding weekend in June. But the police have again objected, citing the board’s policy which states that, with the exception of the university town of Galashiels, drinking hours beyond 2am will only be granted “in exceptional circumstances”. “Furthermore, given the town centre location of the premises [Base] and the increased consumption of alcohol, there is potential for disturbance to residents nearby with alcohol-fuelled violence, noise and antisocial behaviour while the premises are open and during dispersal,” writes Chief Inspector Andrew McLean. In his report for 2014/15, Sir Stephen says his force is “committed to reasonable and safe drinking”. 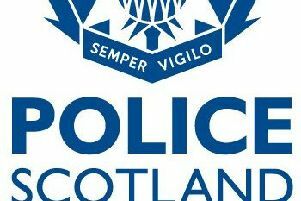 He reveals that in the year to March 31, 2015, there had been 85 incidents in the Borders involving violence in or near licensed premises, including three serious assaults and two incidents involving offensive weapons. Over the year, officers had received 28 reports from the public of excessive noise at licensed premises. On a positive note, only two people were charged over the year with buying alcohol for minors and, of 26 test purchasing “sting” operations, there had been no failures. “On every occasion when premises successfully pass this test, a letter is sent congratulating licensees and their staff,” states the report.